You’re supposed to make a garden plan–mapping out what’s going to go where so that the season unfolds productively with plants following the right plants and planted in the right combination and with the right exposure. You’re supposed to amend the soil with this and that and double dig. . . .Well, my garden would never materialize if I did all that. I know folks who do these things who have better yields and prettier gardens and someday I will be more organized. 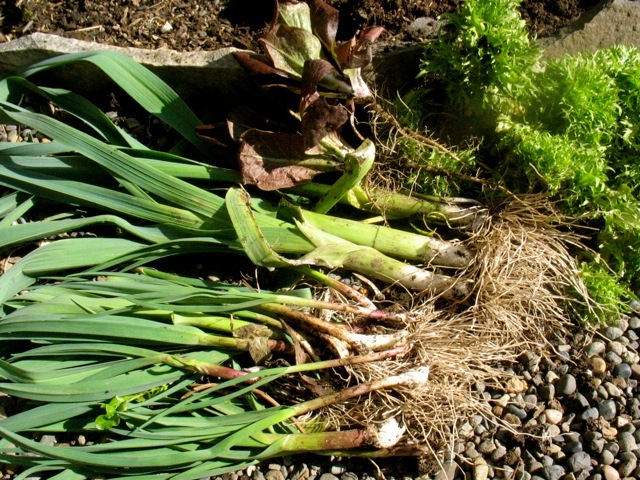 But in the mean time I garden much like a cook–without a whole lot of planning when I have a little time. I’ll pick up a few seed packets here and there and eventually some starts and then go for it. 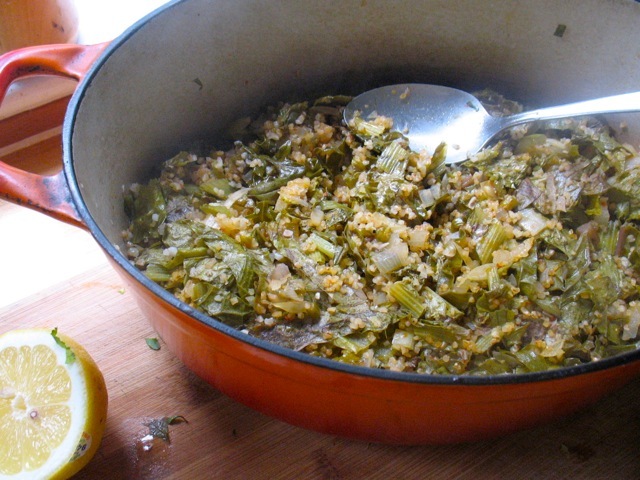 You can use lots of green garlic as it's much milder and sweeter than mature garlic. 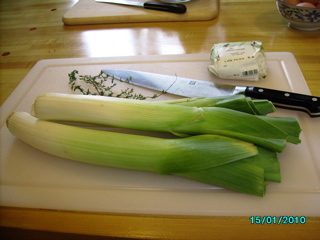 Stew the garlic, leeks and thyme in the oil and butter, slowly, over medium heat until the vegetables are very soft. Add the potatoes, water and some salt and simmer until the potatoes are very tender (about 20 minutes). Adjust seasoning, add pepper and then puree with an immersion blender (or in a blender or food processor) until smooth-ish. Finish with a little cream and serve with a good drizzle of olive oil and if you’d like a piece of toasted bread with fresh goat cheese. We’ve been to lots of holiday parties over the past two weeks. I’ve baked a lot, made some candy, and generally have been a bit out of my routine. I love the parties and this time of year in general but tonight, I just cooked a regular old dinner and it was just the three of us and Ellis went to bed on time. It’s during times like these where the cook-with-what-you-have philosophy and capacity is especially useful. 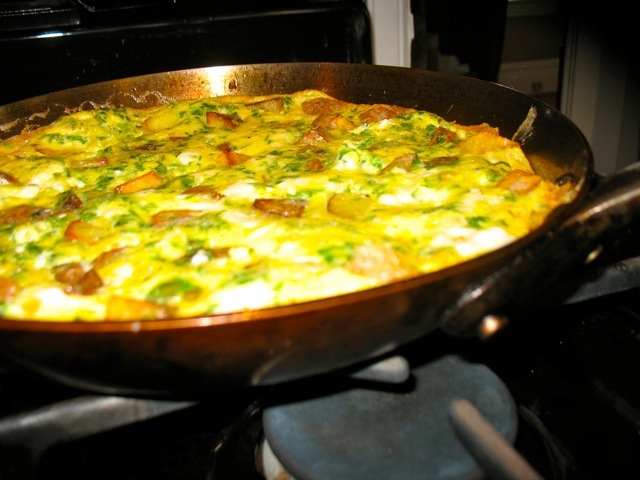 When your grocery lists focus on sweets or what you’re going to bring to Christmas dinner, being able to make a frittata with a handful of herbs and a few diced potatoes, or a bowl of polenta with greens or beans or both, is a blessing. 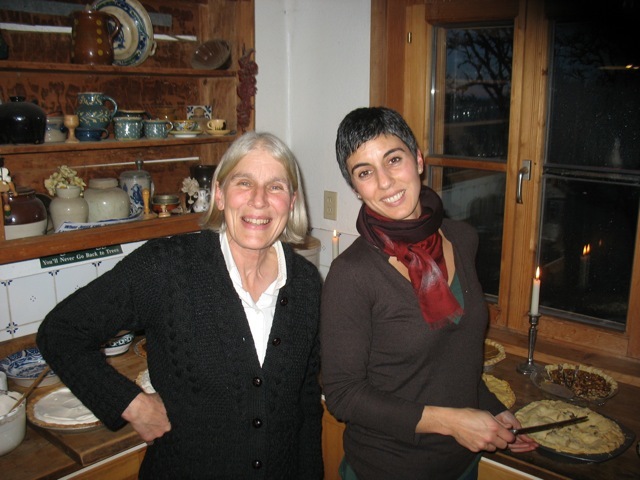 So instead of sending out a final cookie recipe or some glamorous holiday dinner center piece, here are a few photos and ideas of what to make when you just need a regular old meal to keep you going, happy, and healthy. 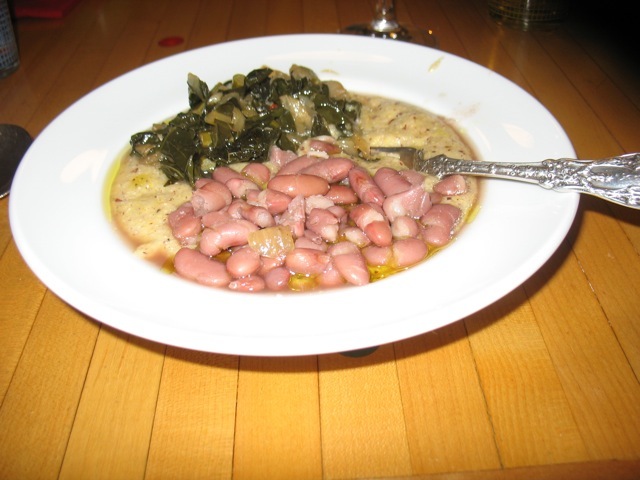 If you don’t have time for the polenta and have some cooked or canned beans on hand, just braise whatever greens you have (kale, chard, collard greens. . .) with a little crushed garlic and some salt and mix with the warmed beans. 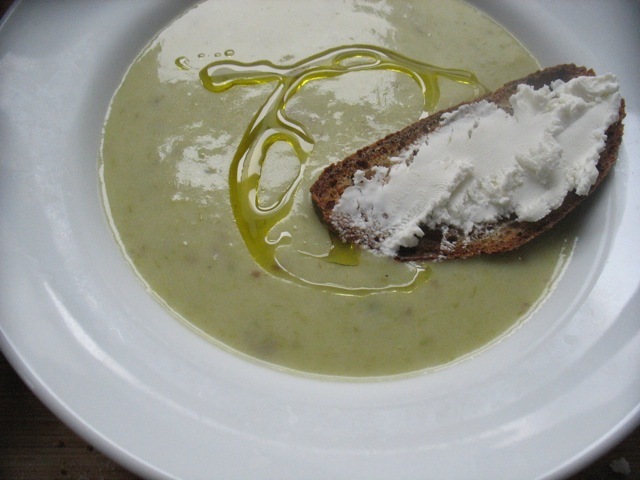 Drizzle generously with olive oil and enjoy with our without a piece of bread. Or, dice some winter squash and/or carrots, sweet potatoes, parsnips, etc. 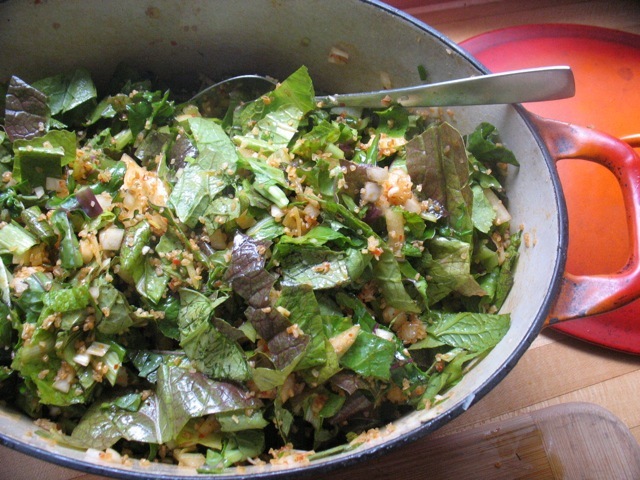 and toss with olive oil, maybe some cumin and chili flakes and roast at high heat until tender. 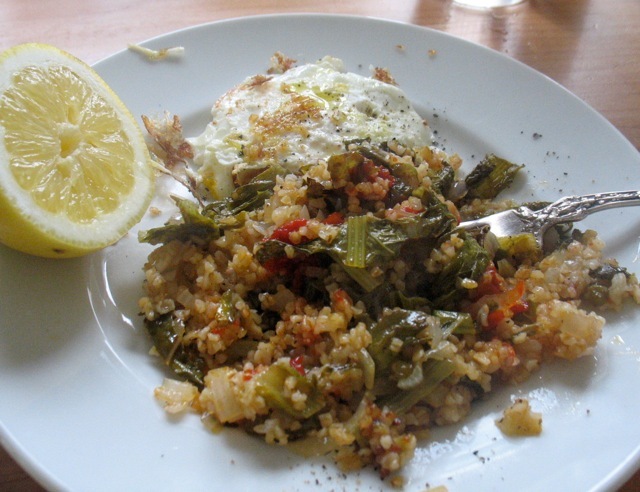 Fry an egg and pop it on top of those veggies and dig in. 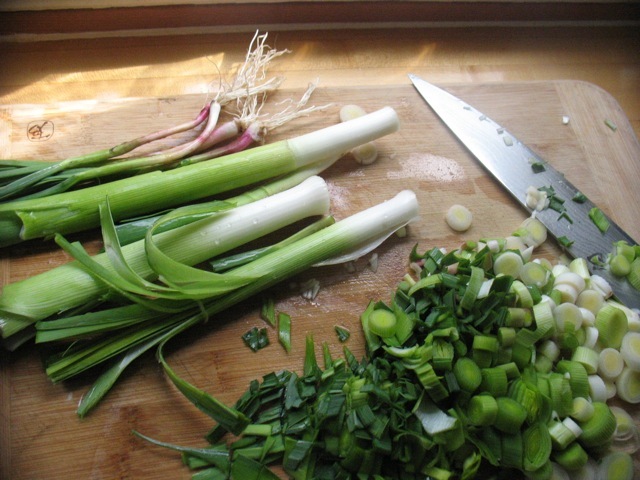 Another favorite is to cook a few, chopped leeks in a little butter or oil. 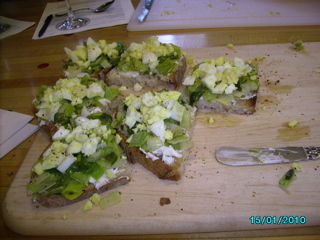 Toast big slices of bread and spread on some goat cheese or a few slices of any kind of cheese you have on hand, top with the hot leeks, drizzle with a little balsamic vinegar, add a few grinds of pepper and salt and olive oil and enjoy! More ideas of course on the recipe page and please share your favorite quick winter meals in the comments if you’d like. I wish you all a peaceful, delicious and convivial holiday. Thank you for reading and cooking.